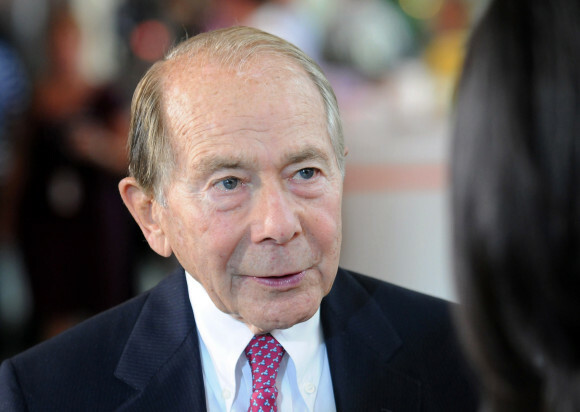 Even at 91, former American International Group Inc. Chairman Maurice “Hank” Greenberg isn’t ready to quit fighting. Greenberg scrapped with regulators and the Internal Revenue Service and beat the federal government in what some called a no-chance suit. Now, he’s set to march into state court in Manhattan to defend an 11-year-old lawsuit accusing him of using sham transactions at AIG to hide the company’s financial troubles from shareholders. Opening statements are scheduled for Tuesday. The World War II veteran has stubbornly refused to settle, seeing the trial as an opportunity to redeem himself, more than a decade after he was pressured to resign from the company that he built, over almost 40 years, into the world’s biggest insurer. Greenberg saw his reputation challenged as AIG settled regulatory probes following his departure in 2005, and then again as the company almost collapsed in the 2008 financial crisis from losses on derivatives. The insurer was wrong to resolve the legal cases and risk management at AIG faltered under his successors, Greenberg has said. He and other AIG executives had agreed in 2009 to pay $115 million to settle shareholder lawsuits and $15 million to resolve a U.S. Securities and Exchange Commission suit. There were no admissions of wrongdoing in the settlements. Those settlements should have ended the New York lawsuit over two re-insurance transactions, Greenberg said. They didn’t, although the state abandoned some of the claims in the May 2005 lawsuit filed by then-Attorney General Eliot Spitzer. The state is no longer seeking damages to compensate shareholders. It now wants to bar Greenberg and former AIG Chief Financial Officer Howard Smith from serving as officers or directors of public companies and force them to give up more than $55 million that they received in bonuses. Edward Evans, a spokesman for Boies Schiller & Flexner LLP, which represents Greenberg, declined to comment on the case. In a pre-trial memo, Greenberg and Smith said the attorney general can’t prove that either transaction was improperly accounted for, that the defendants knew of any alleged impropriety or that the two deals were material to AIG. The lawsuit has survived three state attorneys general, numerous appeals and unsuccessful attempts to remove the judge for alleged bias. The case will be decided by the judge, not a jury. The state’s lawyers plan to call Greenberg to testify in the civil suit, according to court papers. Greenberg still oversees an insurance operation through closely held Starr International Co., which provides coverage for the aviation, construction and energy industries. He’s not on the boards of any publicly traded companies, according to data compiled by Bloomberg. Soon after Greenberg stepped down as AIG’s CEO, company officials said one of its transactions was improper, restated earnings by $3.4 billion and paid $1.6 billion to settle claims by regulators. AIG didn’t admit or deny any wrongdoing. Greenberg and Smith were then sued by Spitzer under the Martin Act, an almost century-old law that gives New York prosecutors wide powers to probe white-collar crime. Spitzer was retaliating because the former chairman had accused him of overreach in prosecutions, Greenberg claimed after the suit was filed. The lawsuit stems from two reinsurance transactions: a deal with Berkshire Hathaway Inc.’s General Reinsurance Corp. used to reverse a decline in loss reserves at AIG, and an agreement with CAPCO Reinsurance Co. Four former Gen Re executives and one from AIG were convicted of accounting fraud charges in 2008 but won reversals in 2011. Federal prosecutors agreed to drop the charges in 2012 under deferred-prosecution agreements after the former executives admitted “aspects” of the Gen Re deal were fraudulent. Meanwhile, Greenberg sued the U.S. government over the 2008 bailout of AIG, claiming the company’s equity was wrongfully taken. Initially, Credit Suisse Group AG analysts put his chances of winning at 1 in 10. Instead, after his lawyer David Boies hauled Ben Bernanke, Henry Paulson and Timothy Geithner to the witness stand, the trial finished with a ruling in Greenberg’s favor. Still, his Starr International is appealing. Although the judge found the bailout was illegal, he didn’t award the $40 billion in damages that Greenberg had sought. The court said he wasn’t entitled to compensation because, if not for the rescue, AIG likely would have filed for bankruptcy. In an interview with Bloomberg last year, just after his 90th birthday, Greenberg was asked if he’s mellowed with age. He called for an end to the interview. Go Hank! Don’t let the government bully you around! Go Hank! Don't let the government bully you around!